Nowadays, more and more business owners are primarily conducting their business online. In this digital age, why wouldn’t you? It costs less than a brick and mortar storefront, it allows access to a larger customer base, and gives you the convenience of working from anywhere. You may have also heard this referred to as “Terms of Service”. A Terms & Conditions policy basically acts as a metaphorical contract between your business and the other person. It’s where you will include things like your return/delivery policy, liability limitations, warranty information, etc… It should also include a notice of intellectual property (stating that some/all of the content on your site belongs exclusively to your business). 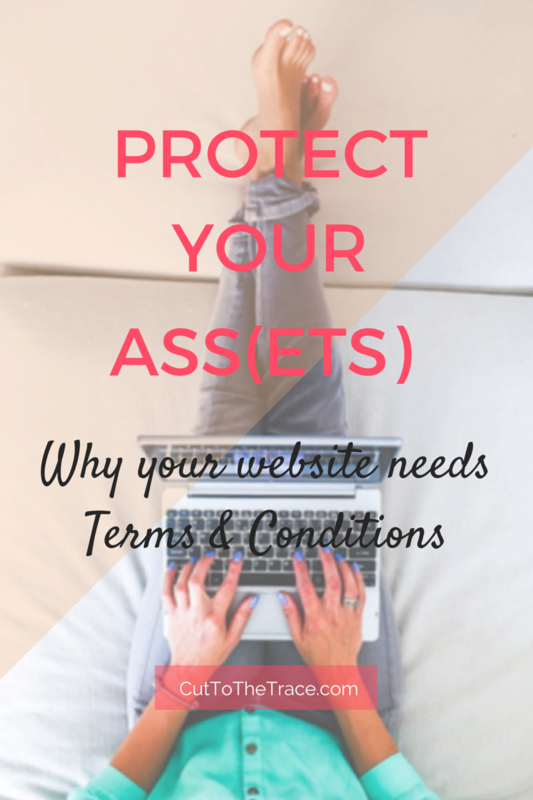 This will let them know the “rules” or “laws” that your business follows, and essentially protect you from potential legal action from a visitor of your website. While it sounds pretty straightforward, you cannot simply copy/paste the T&C policy of another website and tweak it to reflect your business. That would actually be copy write infringement, which is no bueno mi amigo. I hope that this helped clear things up a bit about the importance of having these 2 policies present on your website! Especially for those of you who solely operate your biz online! If you have questions or something to add that I may have missed, drop a comment below!